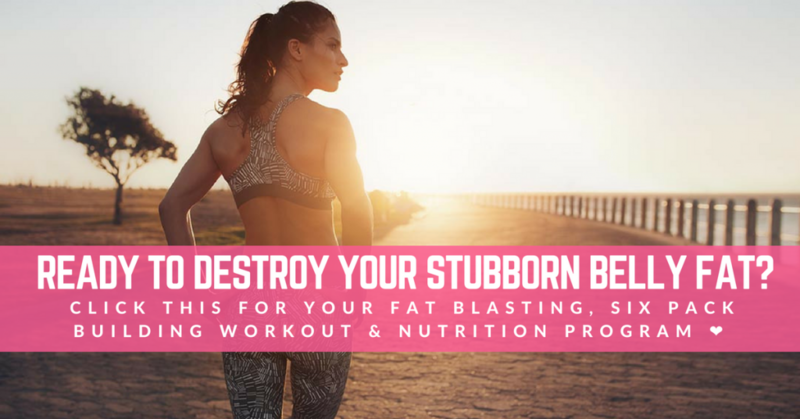 Give yourself the power to eliminate those love handles. Lead the change! This is a great way to use your bodyweight to really work your obliques. From side plank position, making sure your elbow is directly underneath your shoulder, lower your body until your hips touch the ground. You can have your feet scissored (as shown) or on top of each other. Tense your obliques (side abs) to raise your body back up to a proper side plank position, with your neck and spine in a neutral position. Leg raises on a bench or other raised surface are great because you can lower your legs further, allowing your lower abs to be more effectively targeted. Sit at the end of a bench, resting on your coccyx bone. Place your hands slightly behind you, or under your coccyx if you need support. Keep your feet held together and lower them off the bench, keeping your legs straight. Tense your abs, bringing your legs upwards whilst bending your legs until they form a 90 degree angle with your hips. Hold for 2-3 seconds. Slowly release your legs, extending them outwards again to the starting position. This is one rep. The ab bike is a great movement to hit all of your ab muscles with one exercise. Lay flat on your back, with your feet extended in front of you. Bend your elbows, placing your hands at the side of your head (you can rest them behind your head, never pull on your neck)! Bend your knees at a 90 degree angle with your hips. Cycle between bringing your opposite elbow and knee to each other, whilst extending your other leg outwards as shown. Your legs should circle around like they would if you were riding a bike. Make sure to twist your torso, tensing your abs as you make a cycling movement. Each time you’ve completed a cycle of each side, that is one rep.
An essential move to grow big glutes! Lie flat on your back with your arms at your side. Bend your knees and place your heels on the floor. Squeeze your glutes to lift your hips off the ground until your knees, hips and shoulders are all aligned. Hold for 2-3 seconds at the top. Slowly release back down until your hips are on the floor. This is one rep.
Start on your hands and knees and place your forearms on the floor, with your elbows directly under your shoulders. Raise your torso off the ground, having that balls of your feet touching the ground as shown. Brace your core and squeeze your glutes, whilst keeping your back in a neutral position without any curvature. Your hips should be level with your shoulders. Hold for as long as you can! Try to extend this time to improve your core strength. Start in a high plank / push up position. Tense your core, shifting your weight over one of your arms. Lift the other arm, rotating it around until it is pointing up in the air. Hold for 2-3 seconds. Slowly reverse this motion, keeping your core tense until it is under you securely again. This is one rep. The crunch is a great base ab exercise. Lie flat on your back. Place your hands at the side of your head or flat beside you. Don’t pull on your head or neck. 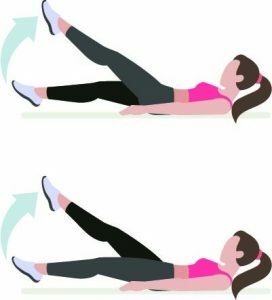 Tense your abs to bring your torso off the floor, whilst at the same time using your abs to raise your legs into the air to complete the crunch. Hold for 2-3 seconds before returning to a flat initial position. One crunch is one rep.
Flutter kicks are a simple way to give your hip flexors, lower abs and quads a workout. Lie flat on your back on the floor or on a bench. Lift both feet an inch or two in the air. 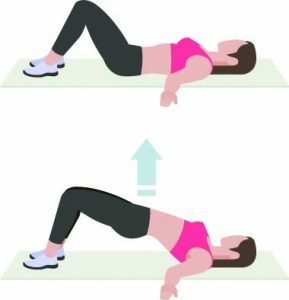 Tense your lower abs to raise one leg. Alternate between raising each leg, lowering them to 1-2 inches above the ground. A flutter kick with both legs counts as one rep.
Transform Fitspo Copyright © 2019.